Today, I’m sharing my blog space with one of my favorite people and authors, Meggan Connors. I’m a huge fan of all her books (The Marker, The Mackay Brothers, and Jessie’s War) but she really outdid herself with her latest book – Highland Deception. A definite five star read. Don’t miss. Seriously. Just don’t. Okay, enough from me, time for Meggan to share her view on music and inspiration. By the way, I totally get what she’s saying about the whole quiet think. Right, right, shutting up now!! Some authors require absolute silence when they write. My day job is very noisy. With a chatty husband, two kids, two dogs (one a floppy puppy and the other a German Shepherd) and a talkative cat, my house is very noisy. In general, I am not a quiet person. So silence, for me, is…disconcerting. When I first started writing, I needed something to drown out the extra sounds in the house. I turned to music, and now I can’t write without it. I even tried to the other day, just to see if I could. The husband and kids were out of the house, and the silence actually made me uncomfortable. So I turned the radio on and the words started flowing. Every manuscript I write has a different soundtrack. For my first book, The Marker, my debut novel, I listened to Carolina Liar and the Dixie Chicks. It took me nearly half the novel to actually assign certain artists to it, but once I did, I finally felt like I had a clear direction for my story. Had to go back and rewrite some of those first chapters, but since I’m a pantser, I probably would have had to do that, anyway. Jessie’s War, my western steampunk, had a song assigned before I even started, which was good for the story. I listened to that song over and over again. In the car. In the house. On my commute, and in my office. I finished that manuscript in what is, for me, record time: twelve weeks. But I realized that maybe I needed to switch it up when, three weeks into my manuscript, my son started singing the song in the middle of the supermarket, from start to finish, loudly and off key. For those of you who might be interested, the song was This is Why We Fight by The Decemberists. If you don’t know it, it’s a great song, though not necessarily something a four year old would generally belt out. And for my latest, Highland Deception, I started out listening to the sound track from The Last of the Mohicans, but ended up listening to Christina Perry’s Arms and Phillip Phillips’ Home in order to finish. And now, my muse is obsessed—and I mean obsessed—with Barry Manilow. Again. Yes, sadly, it’s not the first time. Barry Manilow has been on continuous replay now for months—only in my head, though. I keep trying to convince myself that I won’t stoop to buying Barry Manilow’s Greatest Hits—after all, Barry Manilow brings back memories of sitting in the back of my mom’s Renault LeCar, listening to John Denver, Neil Diamond, and Barry. And trying really hard not to throw up, because, as I recall, I was carsick more often than not. It’s not my intention to write about the late 70s, early 80s. Yet, the other day, I caught myself singing Sweet Caroline and Mandy in my car. And then I wrote a scene where, in my head, Barry Manilow is playing in the background. I guess there’s no stopping the muse when she decides she’s going to do something. So I guess I’ll have to bow to my muse’s rather persistent requests and start listening to “the right kind” of music again. I guess I’ll have to listen to some Barry. 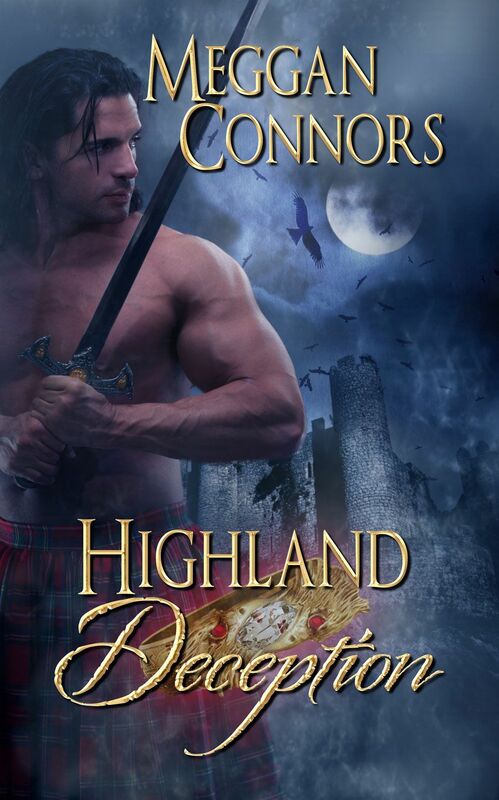 Meggan Connors’ latest novel, Highland Deception, came out in March of 2014. She loves to hear from readers, and you can find follow her on her website (www.megganconnors.com), Facebook (www.facebook.com/pages/Meggan-Connors/120715354695518) Twitter (@MegganConnors). Where you’ll get to hear about her latest camping trip, books she’s reading, musical musings, and her small obsession with cute shoes she can’t wear (because they’re cute, you know?). 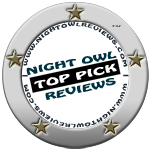 Isobel barely knows the husband who abandoned her even before their marriage, and she’d long since given up on having a real marriage with him. Yet when she returns to the Mackay holding far earlier than expected, she finds her husband a changed man. Despite the hurt between them, Isobel’s heart responds to this man who cares for his entire clan as if they were family. Who, for the first time since their marriage, cares for her as if she is, too. If you got questions for Meggan, please fire away. < Mystic Hero – SOLD! Thanks for having me here, Casey! Gah, re-reading this blog made me have flashbacks about my mom’s LeCar. I hated that backseat more than I’ve hated anything! Thanks for being my guest! It’s funny. I remember being trapped in the backseat listening to my mother’s music. Eek.